In town to play the Camosun Chargers, the College of the Rockies coach knew Beckett as one of the top players in the PacWest, but hadn’t realized she had quit college volleyball. “You should come and play for us,” he suggested. Now, just a year later, she’s joined the Avalanche and rediscovered her love for both volleyball and education. When she tried to sign her up for a camp, Beckett refused. After that first hesitation, the next near-decade was all love for the sport. She played throughout middle school and high school, even though there wasn’t much of a program where she lived. At Reynolds Secondary in Saanich, Beckett was team captain and MVP two years in a row. With her club team, Beckett helped lead them to a bronze medal at the 2012 National Championships in Toronto. “I had a teammate who had a recruiter … and he gave me some tips on what to do, like video and how to write a bio to send to coaches,” she says. “So, I sent them to a few coaches the end of my Grade 11 year and into my Grade 12 year. With the Chargers, Beckett was impressive in her first year and took centre stage after replacing an injured player. 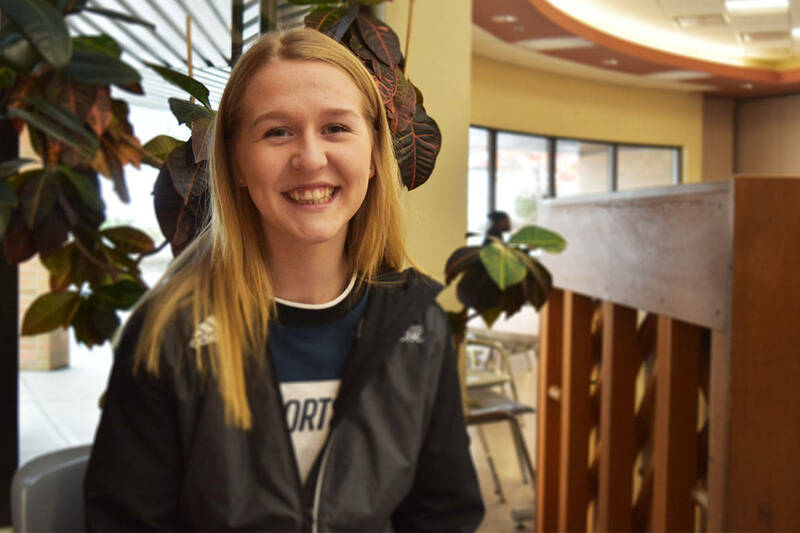 After taking, but not enjoying, Criminal Justice during her sophomore year, she decided to study Education at the University of Victoria in the fall of 2017. She had an even better proposition though. Meeting John Swanson again at the PacWest provincials, she decided that she missed college-level volleyball, and then he made a serious offer for her to come to COTR. After spending 21 years in the same house, Beckett is now living outside of Victoria for the first time and on Friday she will play her first game with the Avalanche against a familiar opponent. There will be some familiar people, however, in the crowd. Beckett’s brother is flying in from Victoria, and one of her best friends and former teammates is driving down from Calgary.